734-558-2328 Servicing Metro Detroit Now Hiring! Click for details. 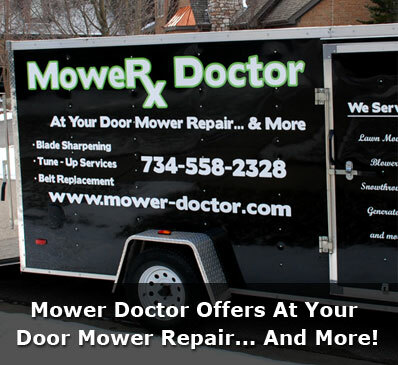 Mower Doctor is a full service, mobile lawn mower repair service. We come to your door to repair riding lawn mowers, trimmers and more! Repairing a broken lawn mower can be a hassle, we'll save you time & money on your next lawn mower repair. Find out how! 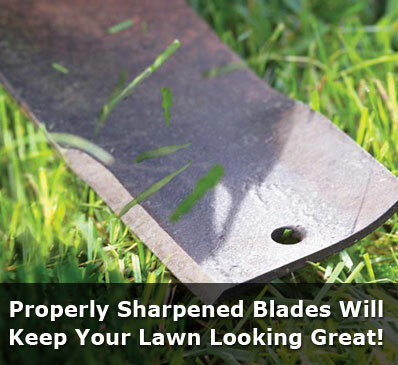 Keep your riding lawn mower running great with blade sharpening services from Mower Doctor. We will come to your home and fix your mower faster than if you took it into a shop! Find out more! 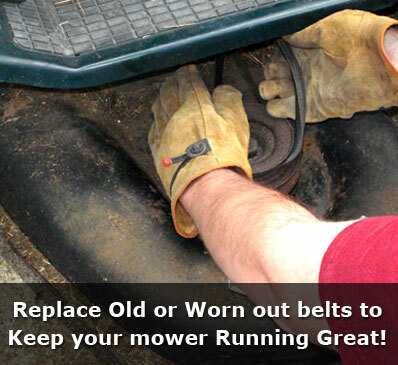 Replacing old or worn out lawn mower belts will keep your mower running great! Save time and money with our mobile lawn mower belt replacement services. Find out more! Welcome to Mower Doctor, at your door mower repair... and MORE! To schedule an appointment today call us at 734-558-2328 or click the contact us now button! 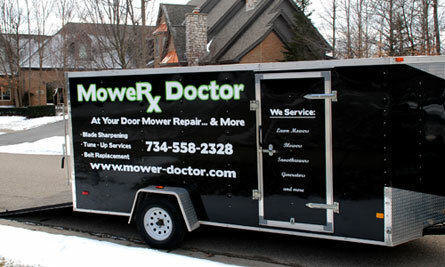 Mower Doctor is a one of a kind, full service, mobile lawn mower and small engine repair company. We are conveniently based out of Livonia, Michigan allowing us to service Plymouth, Canton, Northville, Novi, Ann Arbor, Farmington, Wixom, South Lyon, Farmington, Bloomfield Hills and surrounding areas. While our prices may be higher than some smaller shops, we only use high end new parts and stand behind everything we do better than most repair shops. We have some of the best techs in the industry with our owner and lead tech having 20+ years of experience in the lawn and garden field. Over the last 5 years we have expanded to offer lawn care services. We know what it takes to maintain a healthy lawn, and see first hand what a mower goes through on a daily and yearly basis. When we recommend a service it is based on real life experience and knowledge that is gained from manufactuer recommendations, service manuals, and our own personal use. Our technicians take their time and do not take shortcuts. We are in the business to make machines the most safe, effective, and reliable as we can. Blade sharpening and balance, deck cleaning, spark plug replacement, air filter check/replacement, oil change, oil filter change, grease all steering components, fuel systems check up, belt inspection and tire pressure check. Please Note: We have a minimum service charge of $85 for push/self propelled mowers and snowblowers, $150 for a rider, call for minimum on commercial mowers. Service charge is applied towards labor and repair of the machine. This is to cover technicians time and diagnosis of machine. Fee is due at time of service if customer declines service and/or machine is ruled not worth fixing.